The Exo Terra Repti-Clear F250 Terrarium Filter is an optimal water filtration system with large filter volume and effective flow control. Three filter cartridges guarantee optimal mechanical, chemical and biological filtration. The 3-stage filtration system allows alternate replacement for continuous biological filter activity. 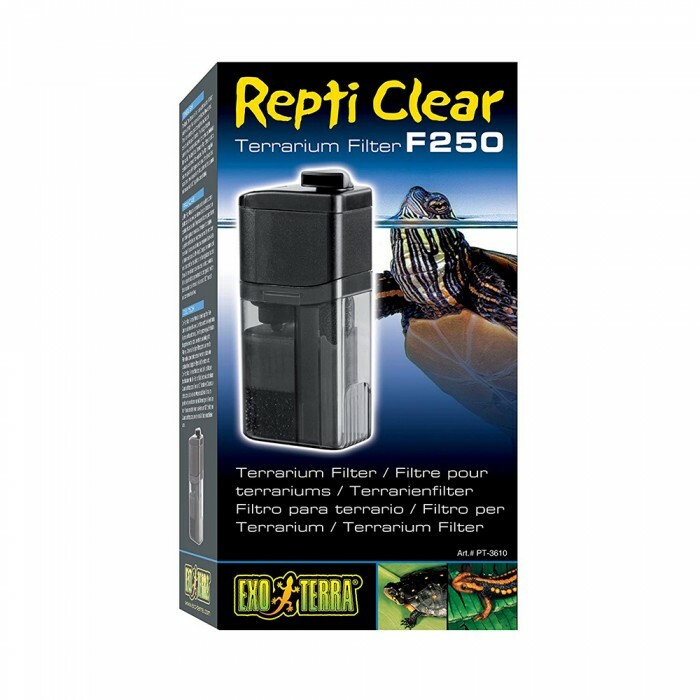 The Exo Terra Repti-Clear F250 Terrarium Filter filters 66 gallons per hour and offers an airflow control device and water flow adjuster. 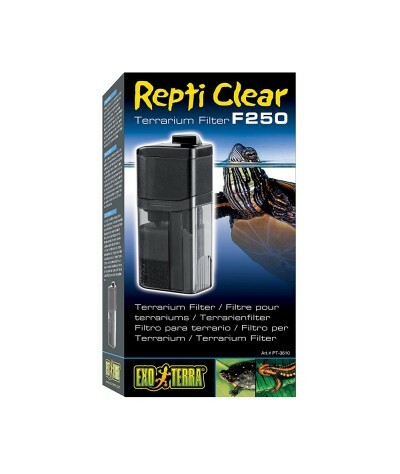 The filter is supplied with two spouts: a 90 degree swivel spout that directs flow output and allows changes to the flow pattern in the aquarium or terrarium, and a 180 degree spout to connect tubing.